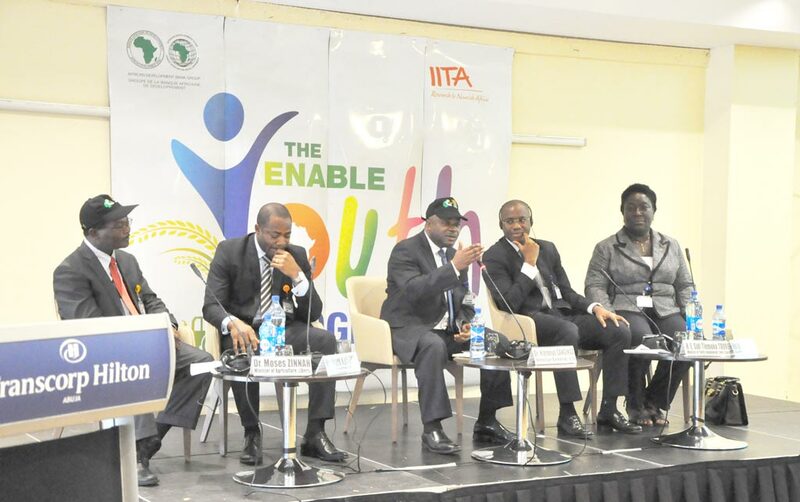 The African Development Bank (AfDB) in collaboration with IITA organized the ENABLE (Empowering Novel Agri-Business-Led Employment) Youth Program Design Workshop on 21-22 April in Abuja, Nigeria. The workshop featured key speakers including IITA Director General Nteranya Sanginga; Mme. Abimbola Adebakin, Tony Elumelu Foundation; Mark Kofi Fynn, African Union Commission, and Ministers/State Ministers of Agriculture/Youth and Employment from 10 African countries. The ENABLE Youth Program Design Workshop aimed to bring all key stakeholders from interested governments across the continent, international development partners, agribusiness companies, finance institutions, women and youth groups on the same page by building a well-grounded evidence-based understanding of the program concept. During the two-day workshop, participants shared their experiences and lessons learned in promoting youth employment in agriculture on the continent. Several of the speakers were young people who shared inspiring first-hand accounts of how they set up their agribusinesses and some of their challenges and successful experiences. This will help fine-tune the ENABLE Youth program design through incorporation of proven Africa-wide best practices. About 240 participants, including over 70 young people from more than 30 countries attended the workshop. 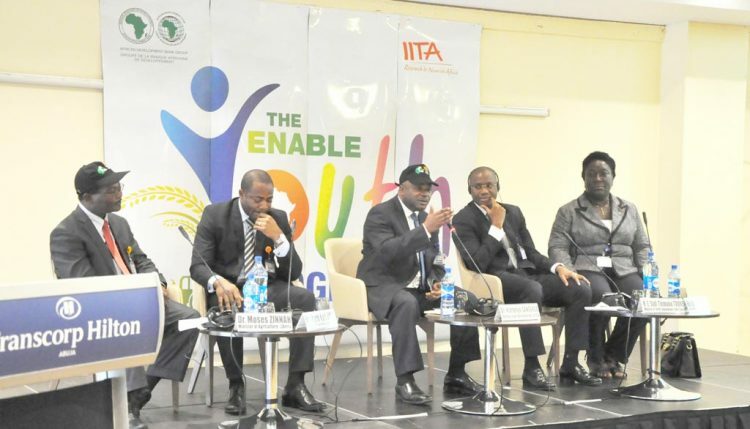 Many African governments have already expressed keen interest to work with the AfDB in collaboration with IITA and other relevant partners to develop and roll out country-specific ENABLE youth programs designed to sustainably tackle youth unemployment and promote food security. The workshop consisted of an opening session with key presentations that set the stage; panel sessions on agribusiness value chains, incubation platform, financing, marketing, and impact assessment; a break-out session to discuss creation of an enabling environment for the program implementation arrangements, and exit strategy; and a closing session that synthesized findings. This landmark initiative to get Africa Feeding Africa is expected to unleash the vast potentials of Africa’s youth and help the continent in its bid to become self-sufficient in food production.